ALERT: None at this time. Check back for alerts pertaining to weather, traffic or other need updates. We are pleased to announce our newest graduates from the Call/Volunteer Recruit Firefighter Class #74. 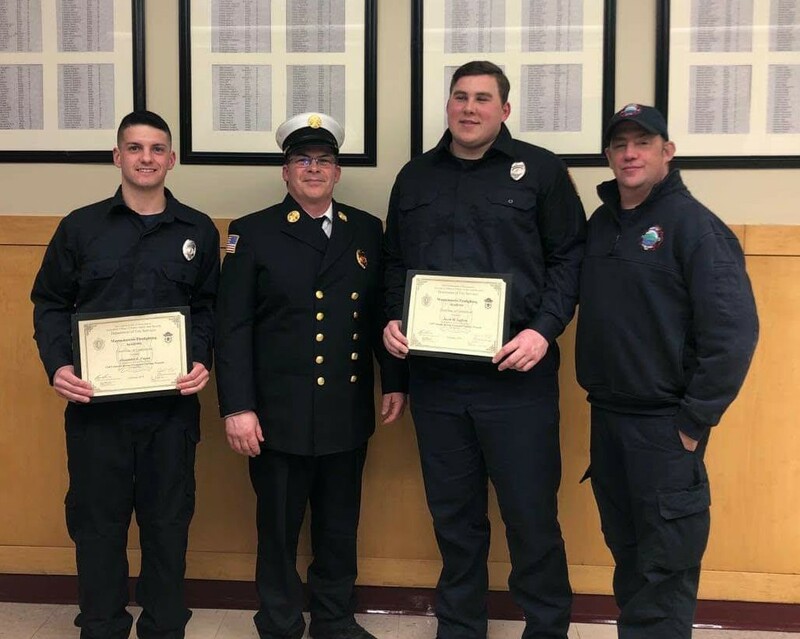 FF Alexander L. Fagan and FF Jacob M. Lafferty were presented their diplomas of completion last night, at a ceremony in Boxford MA. We are excited to work with them, and wish them long, fulfilling and safe careers in the fire service. Left to Right - New graduate FF Alex Fagan, Deputy Chief Pat Sands Sr., New graduate FF Jacob Lafferty and Lt. Brad Biscornet. 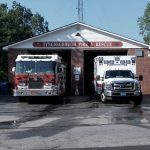 The Town of Tyngsborough is protected by a Combination Fire Department; with the advantage of a small on duty staff 24 hours a day / 7 days a week, and on call firefighters that respond when there is a need for additional staffing. 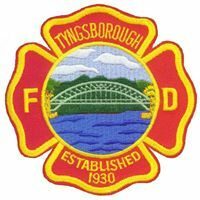 While some of the firefighting staff have been hired for full time hours, and others may work part time; all firefighting staff are Call Firefighters and respond to call backs when off duty. -Emergency response to fires, accidents, and other emergencies. -Investigation of the origin and cause of fire and explosions. 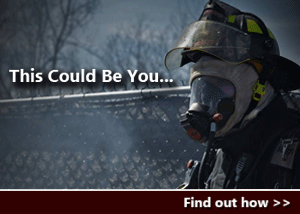 -Public fire and life safety education. The Fire Department responds to the emergency, and sometimes non-emergency needs of the residents, businesses, students, and visitors of our community. Fire suppression is not our most common responsibility, but often the most challenging. 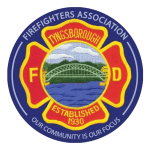 The Town experienced 3 multiple alarm fires in 2017 displacing residents and businesses and requiring mutual aid from neighboring communities. Most emergency calls are for Emergency Medical Services (EMS), and many of those are Motor Vehicle Accidents. 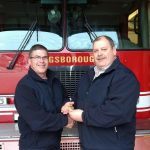 The Fire Department began operating the Ambulance service in late 2016, and throughout 2017 has proven to be hugely successful. Call volume and revenue are higher than projected, residents that have used the service have given overwhelmingly positive feedback, and the firefighters are proud to be providing a new service to the community. 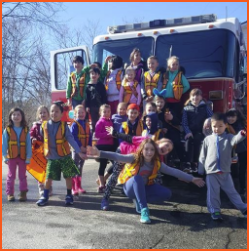 In addition to emergency response; the Fire Department provides a comprehensive community Fire Prevention program including building plans review for fire alarm and suppression systems, fire and safety inspections of commercial and residential buildings, and public fire and safety education programs focused primarily towards children and seniors. from Captain to Deputy Chief. P.A.L Visit: Great job by all the kids and adults who helped out washing the trucks. 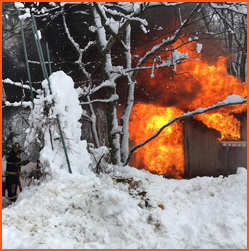 Shed Fire: This occurred during our last Nor'easter; it was started by a generator in a shed behind the owner's home. Firefighters quickly knocked down the fire, but extensive overhaul was needed. 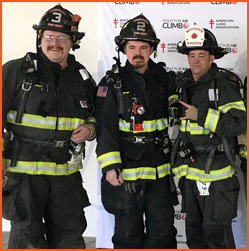 Fight For Air Climb: Members of the FD participated for a second year in a row, climbing 80 Flights to raise money for the American Lung Association. 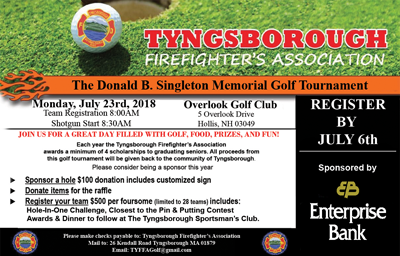 Hole sponsors are also available for $100.00, Get you business name out there! 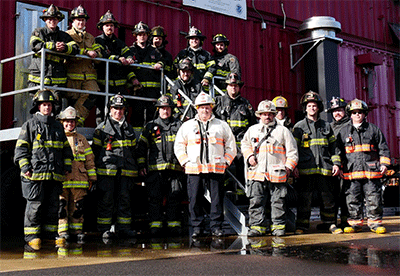 TFD @ the Nashua Regional Training Simulator. Live burn drill!